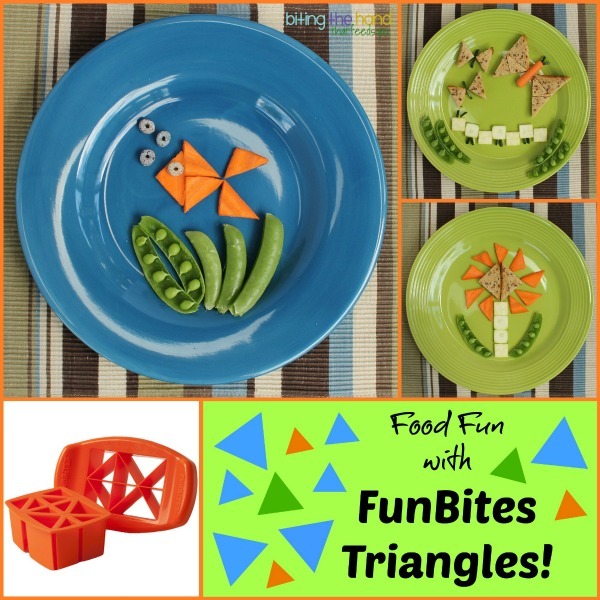 Biting The Hand That Feeds You: FunBites Friday - Triangles! 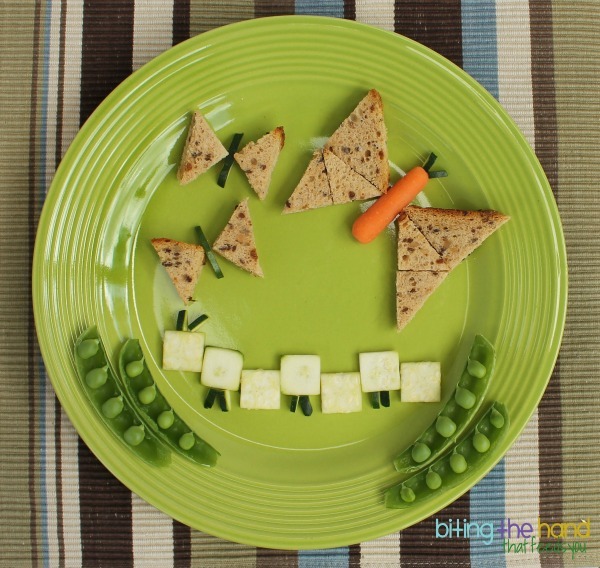 I had some fun one lazy afternoon with my new FunBites Triangles cutter and made the girls a few fun snacks! The butterflies were made using the FunBites Triangles, and the caterpillar body used the FunBites Squares (formerly "Cube It.") Since the cucumber was a small one, the scraps made perfect legs, bodies, and antennae! This carrot fish was super fun and simple. 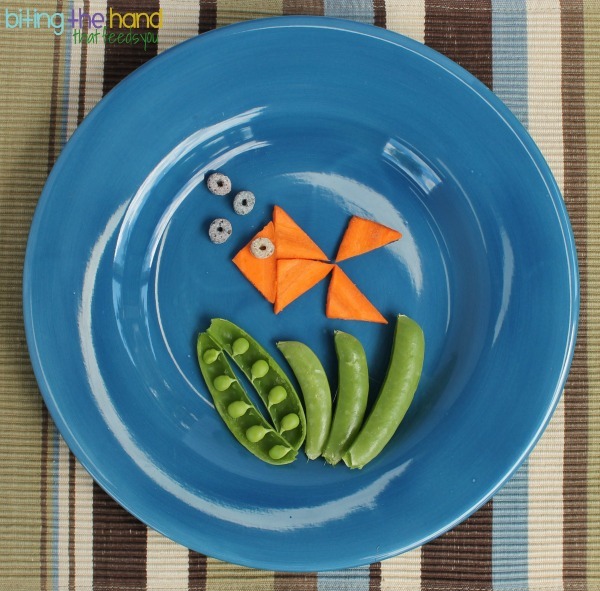 I used some naturally-colored blue gluten-free fruity TropicOs cereal to make the fish's eye and air bubbles. Both girls love these "fruity Os," and I was thrilled to find it! It's nice for them to have things similar to "other kids" once in a while! 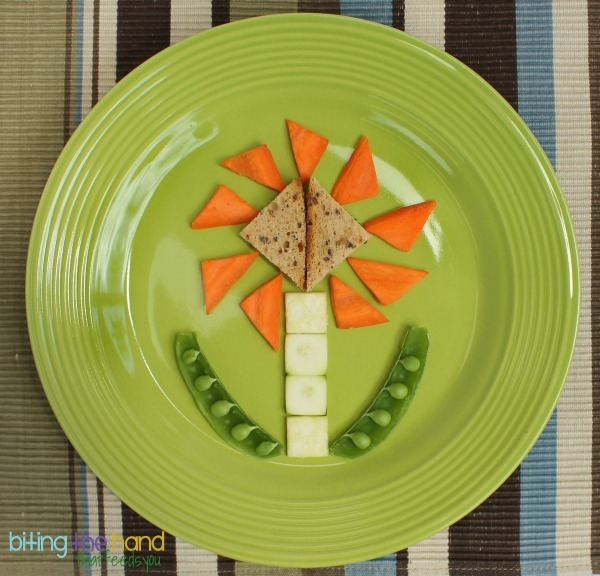 More organic cucumber squares for the stem, and organic carrots and gluten-free bread for the flower. I gave the girls all three plates with some hummus and Ranch dressing to dip their snacks in, and let them duke it out. I mean "share." US buyers - FunBites are eligible for free shipping through Amazon, but for international buyers it might be better to buy direct from FunBites.com. (Either way, if you click through my links when you're ready to buy, I get a small commission.